If you think your parrot can't shoot a basket or bowl a strike, think again! After reading this book about training birds, you will be able to train your bird to perform over 30 entertaining tricks, including shooting a basket, bowling, roller-skating, waving, and more. Training your bird actually helps build a better relationship and stronger trust between the two of you . 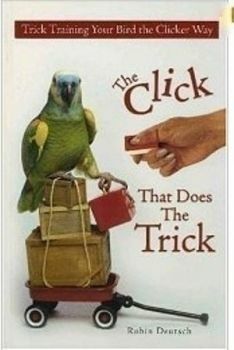 Notify me when The Click That Does the Trick is in stock.